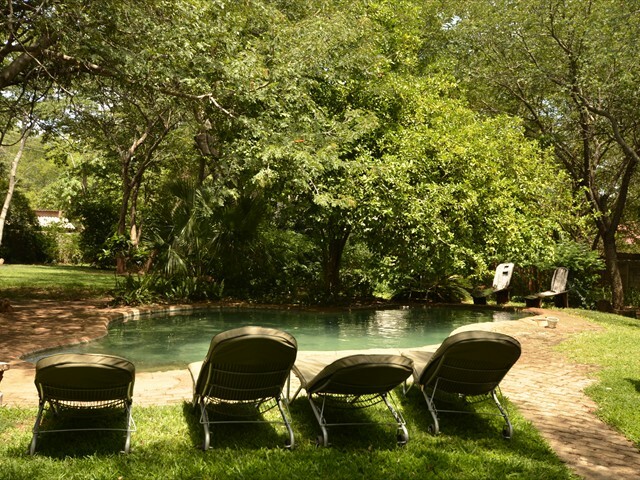 It is situated in the residential part of the town – only about 2kms from the town centre and 3kms from the Victoria Falls Rainforest entrance. There is no transport provided but a local taxi could be called should you need – otherwise you would be able to walk to most places. 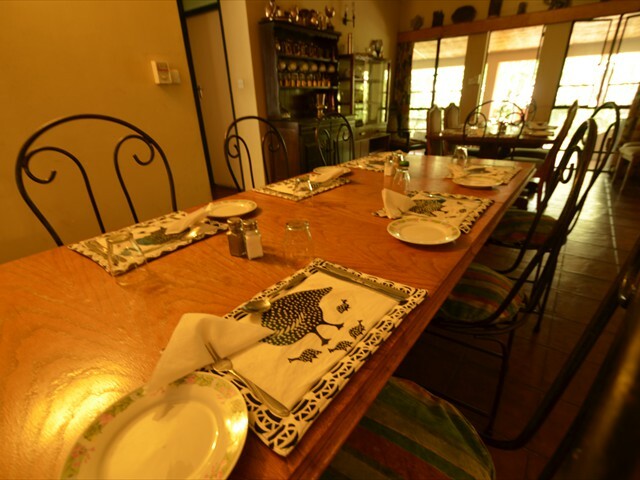 Lorrie’s Bed and Breakfast is small personalised and friendly accommodation. Lorrie and Clive (the owners) or George the manager are very helpful and will be able to answer any questions you should have. It has a good size swimming pool and green shady gardens and is suitable for all age groups including families. Lorrie loves her golf and plays on the Elephant Hills Hotel course once a week and will certainly be able to give advice on how the course is playing. The in-house bar can be very lively and most evenings you will find a few Victoria Falls locals enjoying a cold drink or catching up on a bit of sport on the satellite screen. There is also a pool table next to the bar. Lorries B&B is family run with a lovely homely atmosphere (including the dogs). It's comfortable and clean and Lorrie looks after her guests impeccably. There is a friendly bar which is frequented by the local community so if you want to get to know the people who live in Vic Falls this is a great place - not ideal though for adverse non smokers. 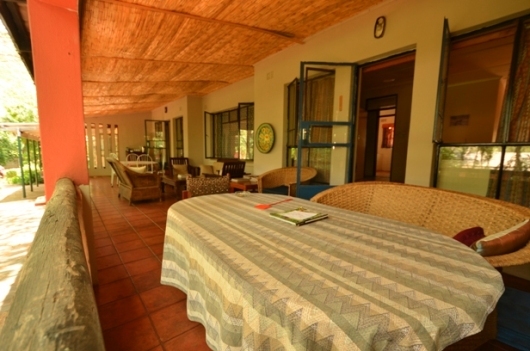 It's priced right and offers good value accommodation that we are more than happy to recommend. Lorrie also serves good homely dinners on request. The rooms are large, clean and basic - there are 7 of them with 4 en suite. 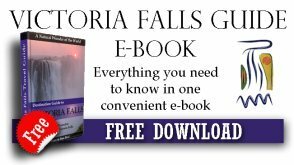 Airport transfers can be arranged from Victoria Falls, Livingstone or Kasane airports. Contact us for more information.